To investigate whether it is possible to grow plants in the soil of Mars and on the moon, researchers undertook an experiment with 14 plant species on artificial Martian and lunar soil, provided by NASA, Xinhua reported. The experiment lasted 50 days. A total of 840 pots were planted with 4,200 seeds. Mars and moon sand, supplied by NASA, so-called regolith, is the best possible imitation of real Mars and moon sand. The basis for this is volcanic soil of Hawaii and sand from Arizona. All plants germinated in the Martian soil. The seeds of agricultural crops such as rye and cress germinated best, some wild plants germinated a lot worse. After 50 days in the greenhouse, a large proportion of the plants were still alive. 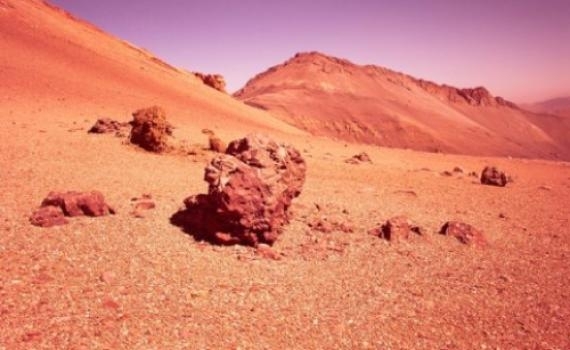 Compared to the nutrient-poor river sands of the Rhine from 10 metres deep layers, the plants did even better in the Martian soil. Lunar soil did not prove fruitful. The germination was significantly less and the growth of all species was much worse. Many germinated plants died before the end of the experiment on moon soil. In addition, the crops did relatively poorly, but after 50 days a few plants were still alive like rye, carrot, cress, reflexed stonecrop and red fescue. “There are a few reasons for the poor performance on the moon, besides that it does not hold water well,” said Wamelink. “We send the sand to our lab. Moon sand contains aluminum, which is poisonous for plants. In addition, the soil pH (acidity) is too high. There is not enough acid in the soil. But it would certainly be possible to grow plants on the moon. Only you have to manipulate the sand. This could be done by planting some specific plants absorbing the aluminum from the soil. And acidity can be easily lowered by adding acid,” the researcher said. With the results of the pilot in the pocket, Wamelink hopes his research group can continue with the experiment. “We want to know more,” he said. The project was funded by the Dutch ministry of economic affairs.